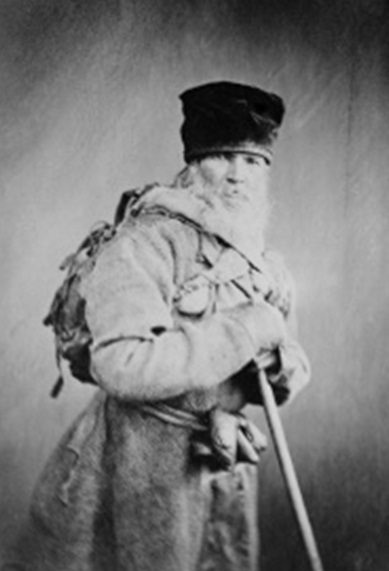 Emily Dickinson’s grandfather, Samuel Dickinson, was brother to Lemuel Dickinson, Emmett Lee Dickinson’s grandfather. Their father, Nathan Dickinson, was born in 1735 in Hampshire County, Massachusetts. However, if you trace the Dickinson lineage back even further, you might be surprised to find that the Dickinson family has roots in Sweden. 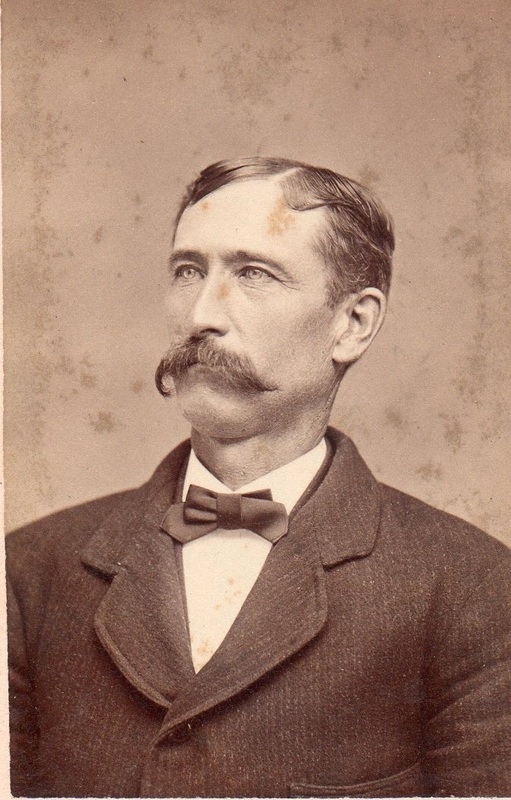 Emily and Emmett Lee’s great-great-great-great-great-great grandfather was Edvin Gunnbjörg Dikeanssöhn, a whittler and palingwright (a maker of wooden fencing). 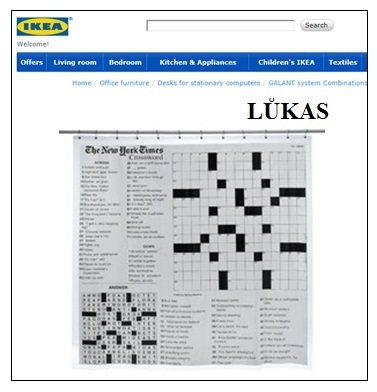 A contemporary branch of the Dikeanssöhn family owns and operates IKEA, the home furnishings company that designs and sells ready-to-assemble furniture (originally out of fencing slats). 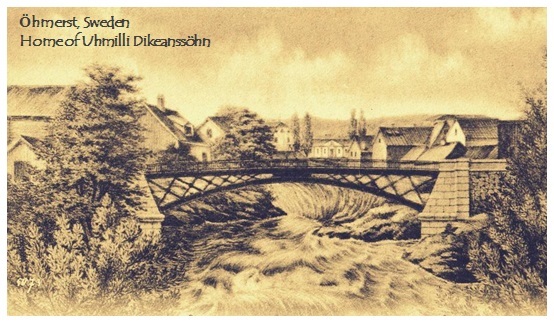 The Dikeanssöhn family, though, has not forgotten their ties to the Dickinson family as they name many of their modern-day products after Dickinson family members. A great-great-great-great-great-great granddaughter of Edvin Gunnbjörg Dikeanssöhn and a contemporary of Emily Dickinson was Sweden's preeminent poet, Uhmilli Dikeanssöhn (pictured at the right). 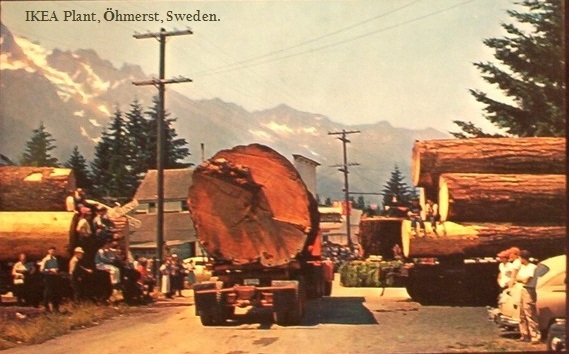 Pictured above: The Dikeanssöhn's IKEA Plant in Ӧhmerst, Sweden, processes over 88% of the world's lumber. 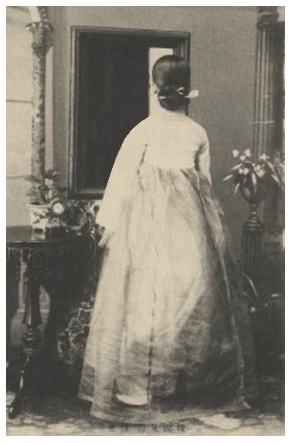 Of course, every one knows that Emmett Lee Dickinson (Emily Dickinson's third cousin, twice removed -- at her request) was a major influence on third cousin Emily. 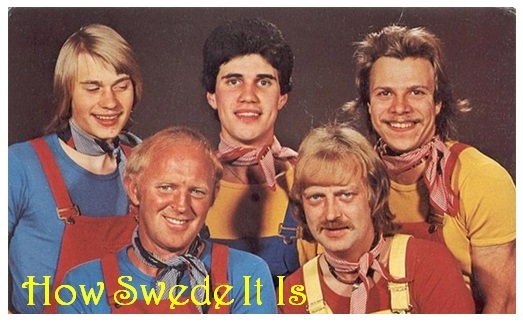 However, did you know that his work also inspired his trans-Atlantic cousin Uhmilli Dikeanssöhn. 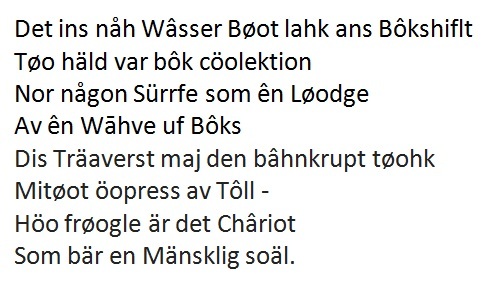 Pictured at the left are the first lines from some of Uhmilli Dikeanssöhn's most famous poems, and they are very similar to some of the poems by Emily Dickinson. * I heard a fly buzz when I died. * I'm nobody. Who are you? * "Hope" is the thing with feathers. Emmett Lee Dickinson's and Emily Dickinson's other cousins, the Dikeanssöhns of Ӧhmerst, Sweden, were sixth generation furniture makers. 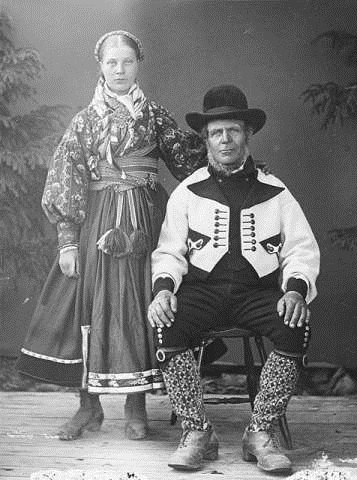 Pictured at the left: Edvørg Dikeanssöhn later in life. Dikeanssöhn founded Ӧhmerst Køllagin Ůnivӧhrsitchen Bibliôteck, Sweden's top-rated liberal arts college and furniture making school. Uhmilli's sister, Lăufinnia Dikeanssöhn; her brother, Øössten Dikeanssöhn; the Dikeanssöhn's hometown, beautiful Ӧhmerst, Sweden. 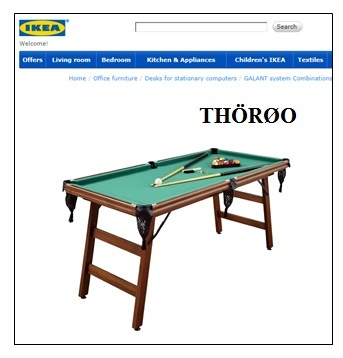 Uhmilli Dikeanssöhn's son, Hujik Dikeanssöhn is responsible for starting what is regarded as the modern-day Ikea furniture mart, and he began the practice of naming Ikea furniture and store items after members of the Dickinson and Dikeanssöhn families. Ählgren. 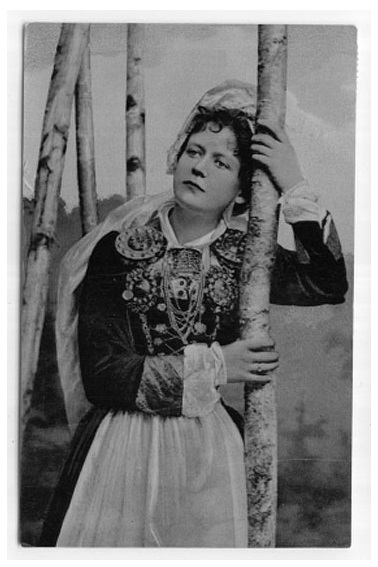 Rigmøra was known as a talented "tree listener," and she was able to listen to the trees to identify the finest wood available for Ikea furniture. 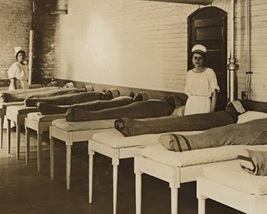 Pictured above: Hujik Dikeanssöhn stands with his icosikaitetragotuplets (24 babies). His wife Rigmøra died shortly after giving birth of Hjalmar, the 24th child of the group (standing at the far left in the photograph). 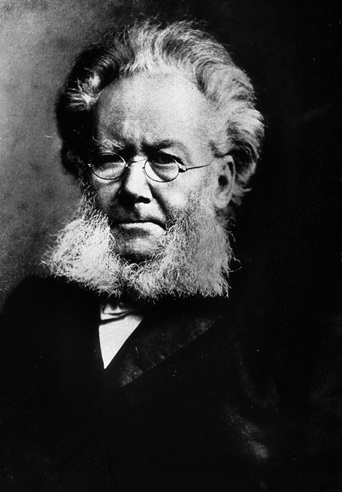 Rigmøra died after giving birth to their icosikaitetragotuplets (24 babies). 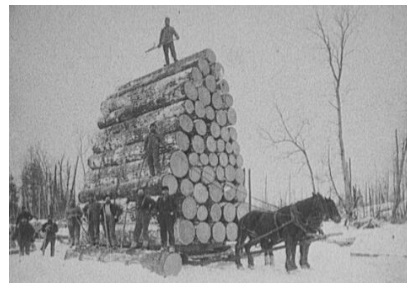 Pictured at the right: Hujik Dikeanssöhn stands atop a load of lumber identified by his wife Rigmøra as "the finest wood there is." Pictured above: The Ümmily, the most popular item at IKEA. 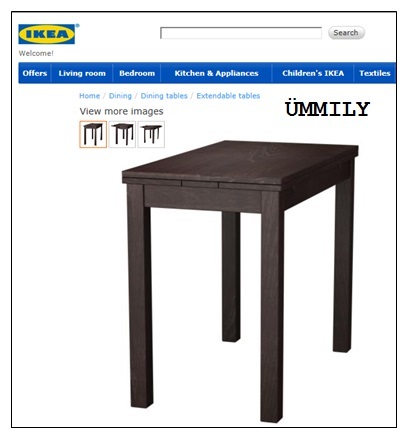 The most popular item at IKEA is a small desk named after Emily Dickinson, the Ümmily. 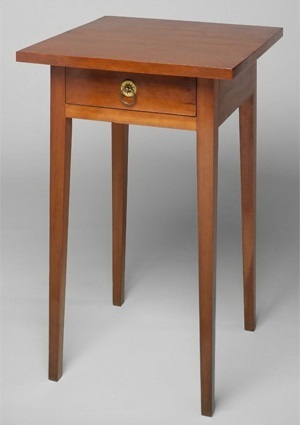 Emily Dickinson wrote many poems on a small desk -- as did her Swedish cousin, poet Uhmilli Dikeanssöhn. 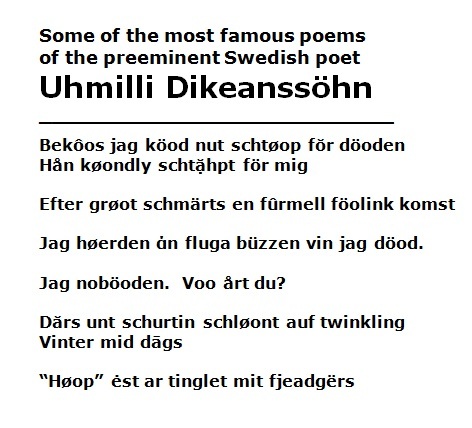 In the early 1900s, Hujik Dikeanssöhn ~ the son of Sweden's preeminent poet Uhmilli Dikeanssöhn ~ started the Swedish tradition of the "Pøesie Shmâcka," which translates into English as "Poetry Slam." Pictured at the right: Hujik Dikeanssöhn leads an early Pøesie Shmâcka. Dikeanssöhn would project poetry onto a screen and recite it for an enthralled audience. The tradition of the Pøesie Shmâcka continues today throughout Sweden where poetry groups go head to head as they compete for top honors. 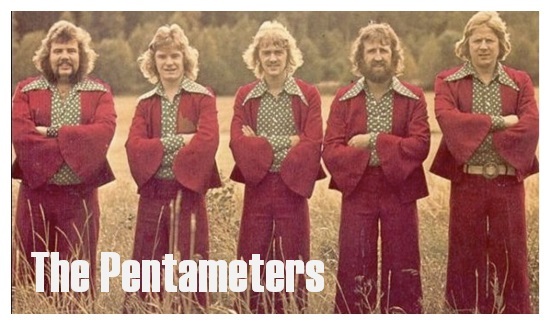 In the United States, Sweden's Pøesie Shmâckas and Pøesie Shmâcka teams helped to influence Motown, the Step-Team tradition, and modern-day poetry slams. 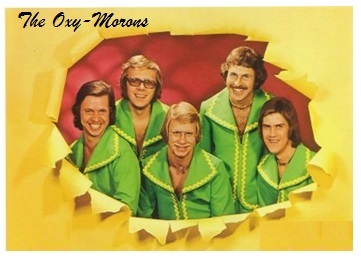 Pictured below, left to right: Some of Sweden's top-rated Pøesie Shmâcka teams: the Meta-Fours, the Pentameters, and the Oxy-Morons. 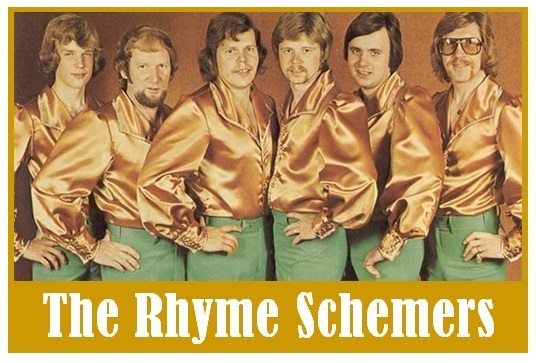 Pictured below, left to right: More of Sweden's top-rated Pøesie Shmâcka teams: The Rhyme Schemers, How Swede It Is, and the SoliloGUYS. 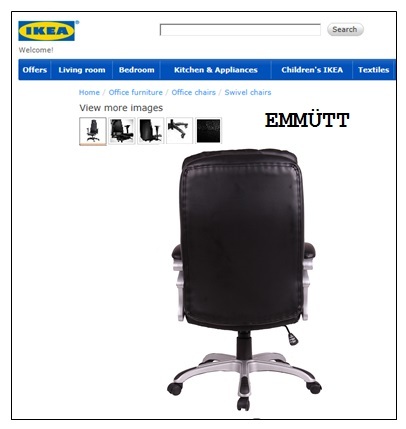 Perhaps the most popular chair in the world is the EMMÜTT, sold exclusively at IKEA furniture marts and named after Emmett Lee Dickinson, Emily Dickinson's third cousin, twice removed -- at her request. 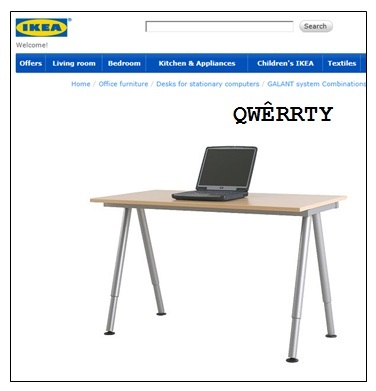 The most popular laptop desk at IKEA furniture marts is the QWÊRRTY, named for Qwerty Jean Dickinson, daughter of Emmett Lee Dickinson (Emily Dickinson's third cousin, twice removed -- at her request. 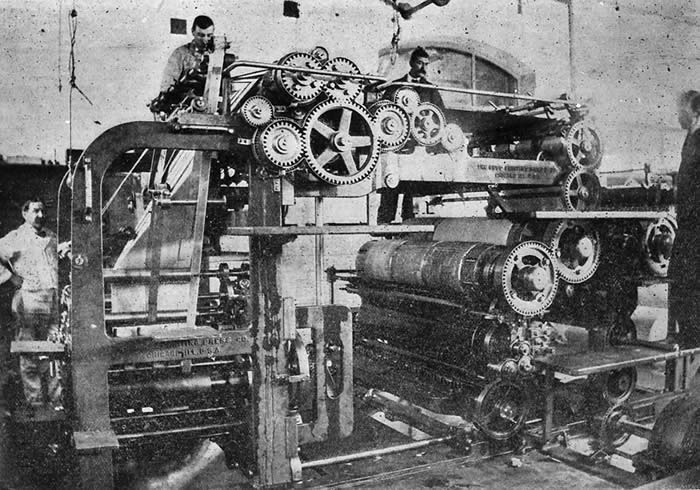 Dickinson's father-in-law, Eliphalet Remington invented a machine to be used "for the impressing or transcribing of letters singly or progressively one after another on a piece of paper." Remington was going to call his invention the “inked letter thumper,” but Dickinson suggested that he call it the “typo-writer” (later changed to the "typewriter"). Remington included the name of his grand-daughter in the top row of keys. 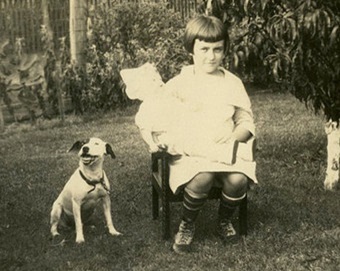 Pictured at the right: The only surviving photograph of Qwerty Jean Dickinson. It hangs in the Emmett Lee Dickinson Museum (above the coin-op Laundromat on Dickinson Boulevard). Pictured at the left: The remains of the wax figure of Qwerty Jean Dickinson from the museum's Great Hall of Wax Figures. 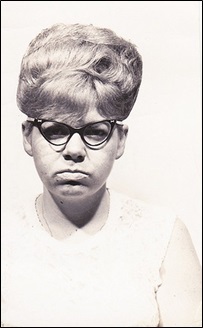 The wax figure of Qwerty Jean Dickinson was a top draw in the Great Hall of Wax Figures. 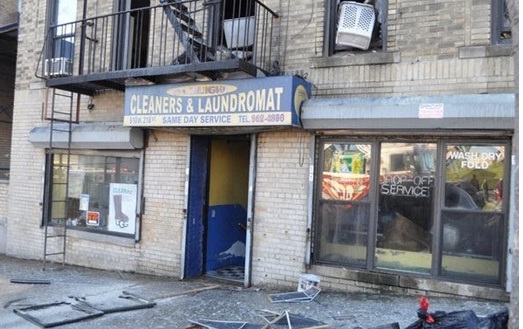 Unfortunately, it was placed directly above the dryers of the coin-op Laundromat located beneath the museum, and it melted one evening when someone dried numerous large loads of linens. 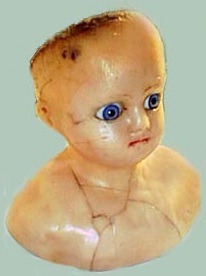 Replicas of the melted wax head are available in the museum's gift shop. 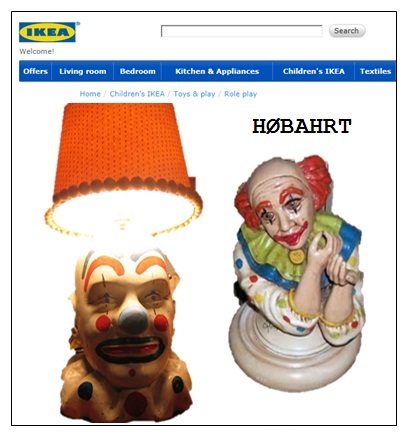 The most popular lamps sold at IKEA furniture marts are a pair of striking clown lamps named after Hobart Dickinson, the uncle to Emmett Lee Dickinson (Emily Dickinson's third cousin, twice removed ~ at her request). Hobart Dickinson owned a novelty shop in Washerst, PA. 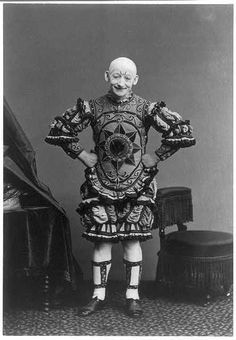 He also managed an entertainment partnership (with Dooley Dawson, known to the citizens of Washerst as “Doo-Daw”Dawson) that provided clowns, magicians, and balloon artists to children’s parties. 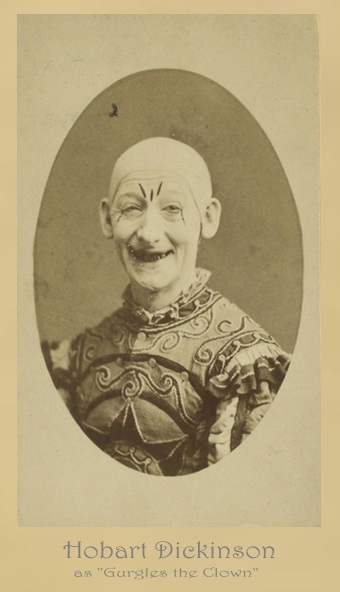 Hobart Dickinson often performed at children's birthday parties as "Gurgles the Clown." 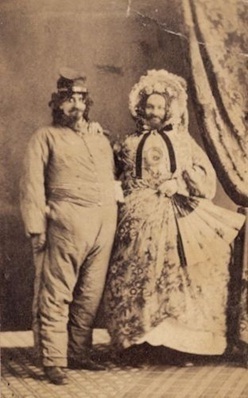 Pictured at the right: Hobart Dickinson as "Gurgles the Clown." 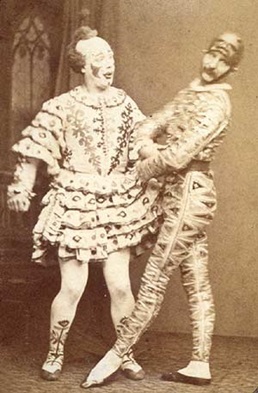 Pictured below, left to right: Hobart Dickinson as "Gurgles the Clown"; At some children's parties, Hobart appeared as a mime named "Smutty"; a two-man production of Henrik Ibsen's Peer Gynt with Hobart Dickinson (on the left) and Dooley "Doo Daw" Dawson (on the right). 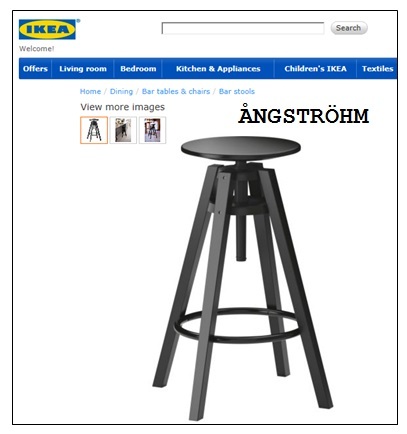 The most popular stool sold at IKEA furniture marts is called ÅNGSTRÖHM, and it is named after Angstrom "Angst" Dickinson, the son of Emmett Lee Dickinson (Emily Dickinson's third cousin, twice removed ~ at her request). 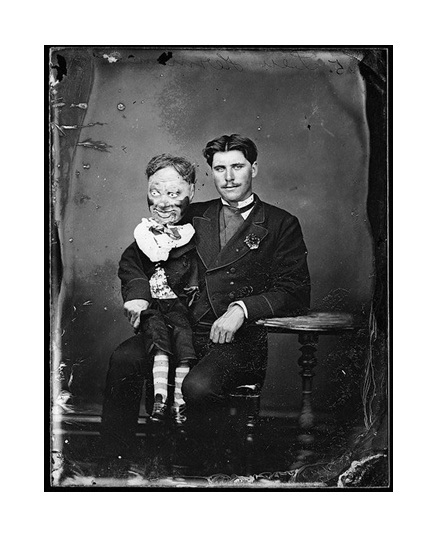 Angstrom Dickinson was a world famous ventriloquist, and he often used a similar stool as the one pictured at the right. 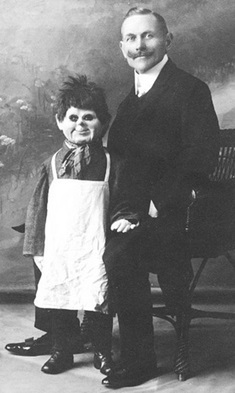 Pictured below at the left: Angstrom Dickinson as a young man with his favorite dummy, Jarvis Galumph. 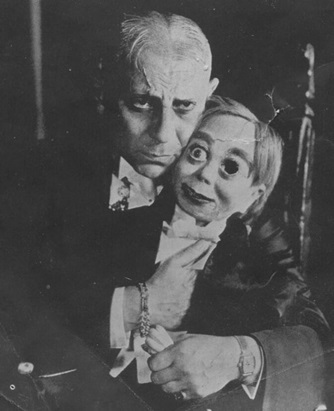 Pictured below at the right: Angstrom Dickinson as an old man with his dummy Cornelius Fickle. 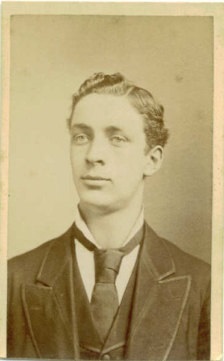 Emmett Lee Dickinson's brother Jefferson had a grandson named Monticello Dickinson. Monticello had a son named Boyar D. Dickinson, and he was an unusual child in that he was a culinary savant. 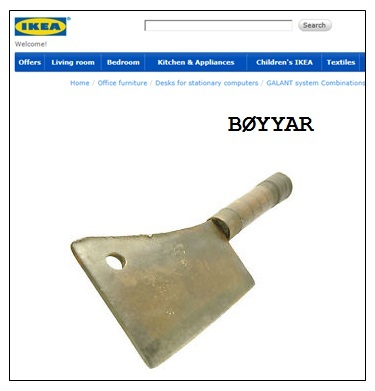 In honor of Boyar D. Dickinson, IKEA sells an exceptional butcher's knife which they call BØYYAR. It is the top selling utensil in IKEA's kitchen section. 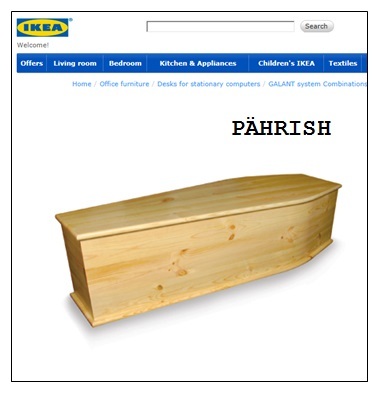 Did you know that IKEA furniture marts sells build-it-yourself coffins? 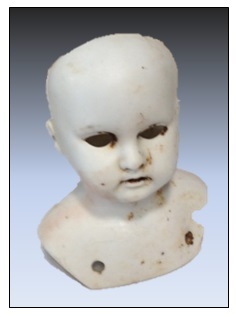 The most popular model, the PÄHRISH, is named after brothers Eberhard and Egan Perish who, with Caldwell Begone, owned the Perish and Begone Funeral Parlor in historic Washerst, PA.
Emmett Lee Dickinson (Emily Dickinson's third cousin, twice removed -- at her request) and his family lived in the basement apartment of the funeral parlor. 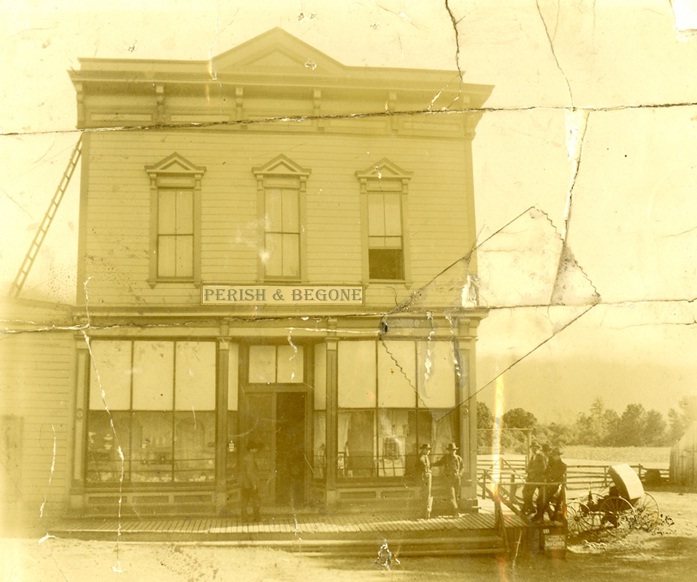 Pictured below, left: The Perish & Begone Funeral Parlor in downtown Washerst. Pictured below, right: The Dickinson's basement apartment. With a tiny Allen wrench. 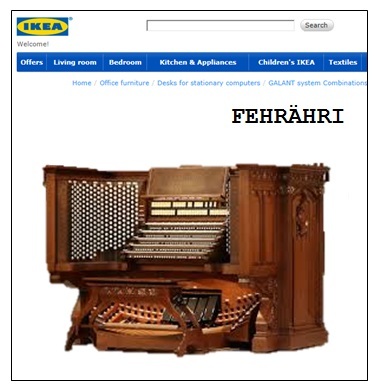 The piece of furniture sold at IKEA with the most individual parts is the FEHRÄHRI, a pipe organ that comes with 2,450,682 pieces. 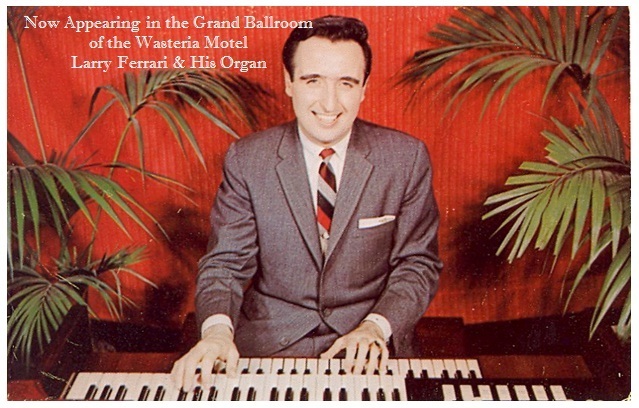 The organ is named for Larry Ferrari, the son of Qwerty Lynn Dickinson and Enzo Ferrari. Qwerty Lynn Dickinson was the great-granddaughter of Qwerty Anne Dickinson, the sister of Emmett Lee Dickinson (Emily Dickinson's third cousin, twice removed -- at her request). In 1950 she married Enzo Ferrari, and together they started the automotive company that bears their last name. Their son Larry was a child prodigy organist. Pictured below, left to right: Qwerty Lynn Dickinson, great-granddaughter of Qwerty Anne Dickinson; Qwerty Lynn's husband Enzo Ferrari; their son and world renowned organist Larry Ferrari. 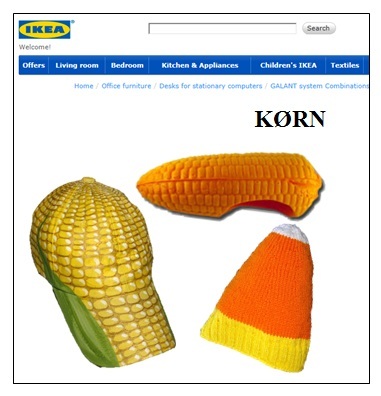 Pictured above: IKEA sells over 25 of the corn-hat creations designed by Emmett Lee Dickinson. 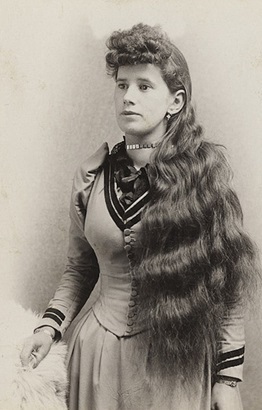 Besides being a poet, Emmett Lee Dickinson (Emily Dickinson's third cousin, twice removed -- at her request) was a prolific inventor. 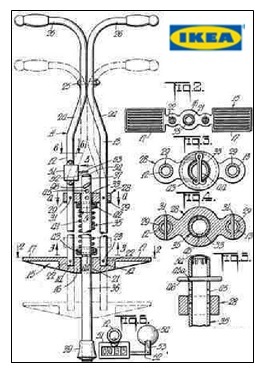 For information on many of Dickinson's inventions, click HERE. 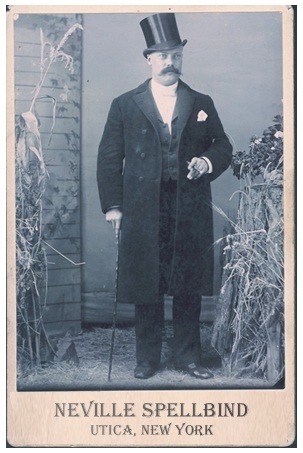 Among his many inventions, Dickinson designed and created over 50 types of hats and headgear based on one of his life's passions, corn. 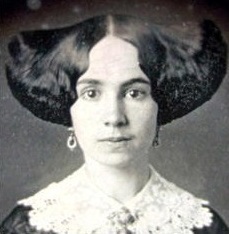 Dickinson was also obsessed with perfect fit for headwear. 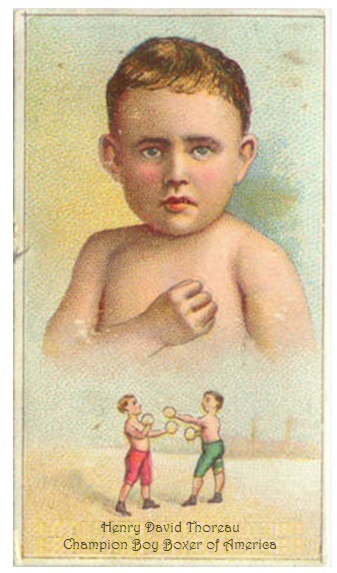 In the mid-1800s, he drew up plans for a "Cranium Calibration Assessment Apparatus," but he never constructed the device. 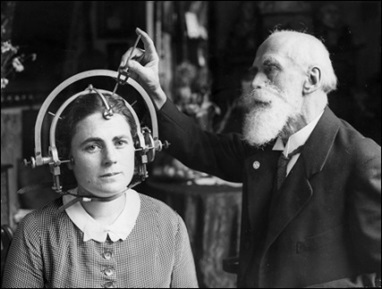 Pictured at the right: J. Bürgrave Dikeanssöhn, the uncle of Sweden's preeminent poet Uhmilli Dikeanssöhn, discovered the blue print for Emmett Lee Dickinson's "Cranium Calibration Assessment Apparatus." 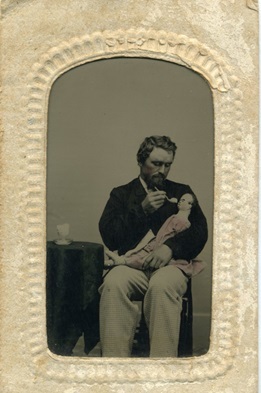 He constructed the device, and in the picture he is shown demonstrating its use on his daughter, Ragnhild. 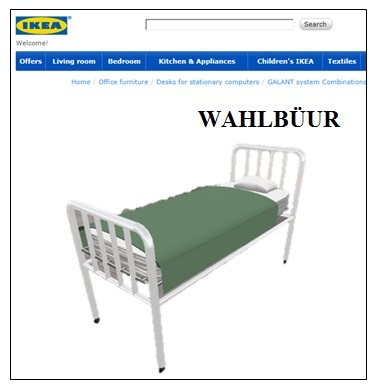 The top selling bed at IKEA furniture marts is the WAHLBÜUR, named at Emmett Lee Dickinson's Aunt Walburga who was a midwife and nurse in Washerst . 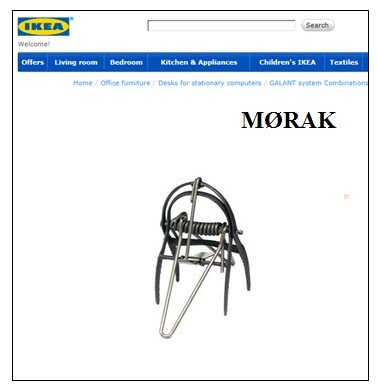 And the most popular build-it-yourself mole trap around the world is IKEA's MØRAK, named after Dickinson's Uncle Morag, Walburga's husband. Pictured at the left: Emmett Lee Dickinson's Aunt Walburga, Hobart and Merton's older sister, married Morag von Binge. 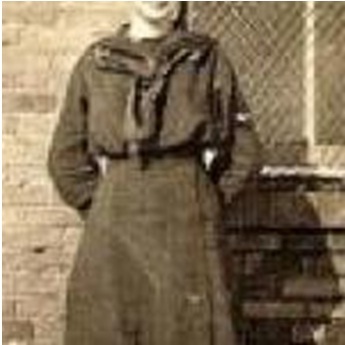 Walburga was a reputable wet nurse and midwife in Washerst, and Morag was the town's only wanter (or wantcatcher), someone employed to catch moles. Pictured below left: IKEA's most popular build-it-yourself mole trap, the MØRAK. 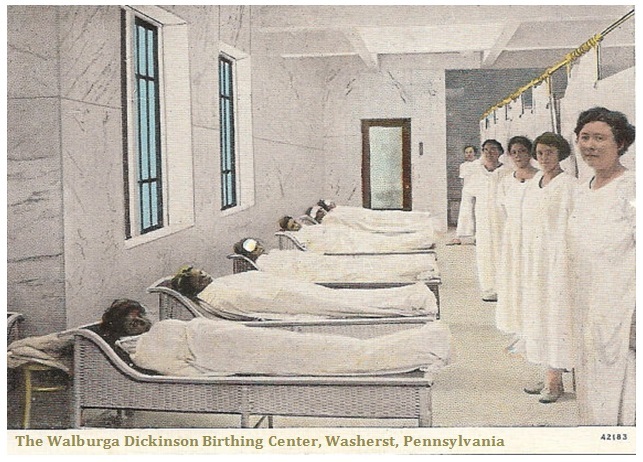 Pictured below: The Walburga Dickinson Birthing Center in Washerst (click images to enlarge). 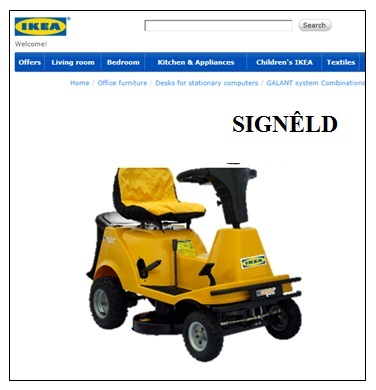 IKEA's rider-vacuum, the top selling rider vacuum cleaner in the world, is SIGNÊLD, named after Signilda Dickinson, the niece of Emmett Lee Dickinson (Emily Dickinson's third cousin, twice removed -- at her request). 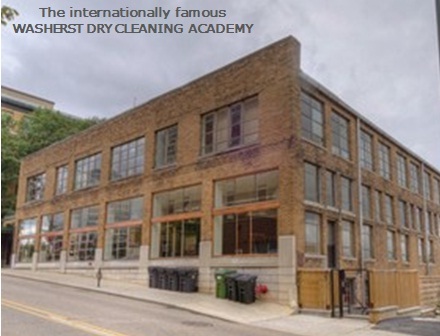 Signilda attended the International Institute of Laundry and Ironing Sciences (IILIS) in Washerst, and earned a Master's degree in Home and Office Sanitation. 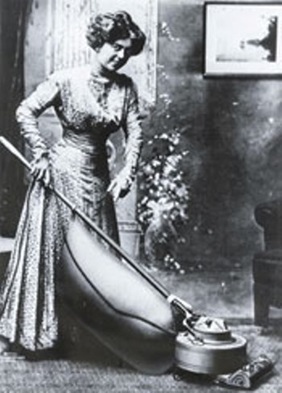 As part of her graduate studies, she invented the first vaccum cleaner, known as the "electric broom." While at the IILIS, she also met her future husband, a distant relative or hers from Sweden, Stig Dikeanssöhn. 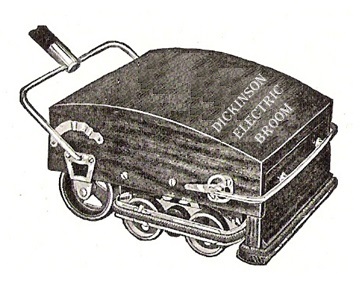 Signilda Dickinson founded the Dickinson Electric Broom Company and earned so much money that her husband Stig was able to be a stay-at-home father. 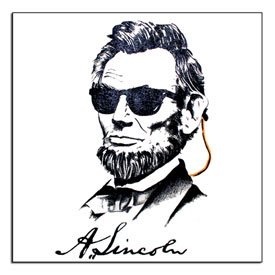 He was the first "house husband" in the United States. (not recommended for studio apartments). 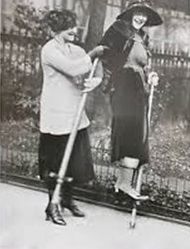 Pictured below: The first vacuum cleaner, or "Electric Broom, invented by Signilda Dickinson. In the bathroom section of IKEA furniture marts, the most popular selling item is the LŮKAS shower curtain. 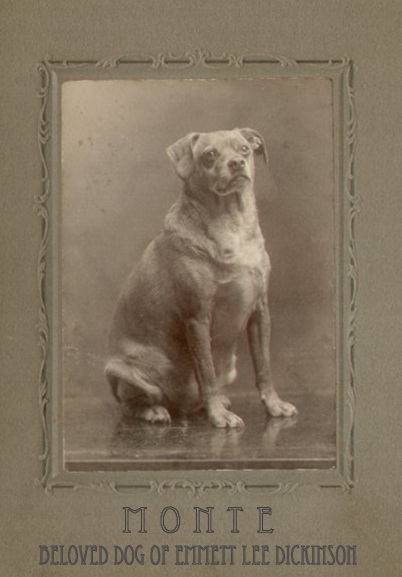 LŮKAS is named after Lucas Dickinson, the brother of Emmett Lee Dickinson (Emily Dickinson's third cousin, twice removed -- at her request). Lucas Dickinson was the inventor of the first crossword puzzle printer. 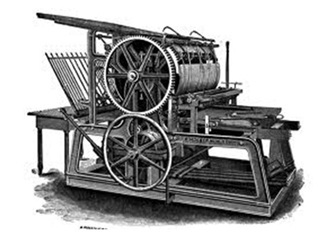 Pictured below: The original crossword puzzle printer invented by Lucas Dickinson. 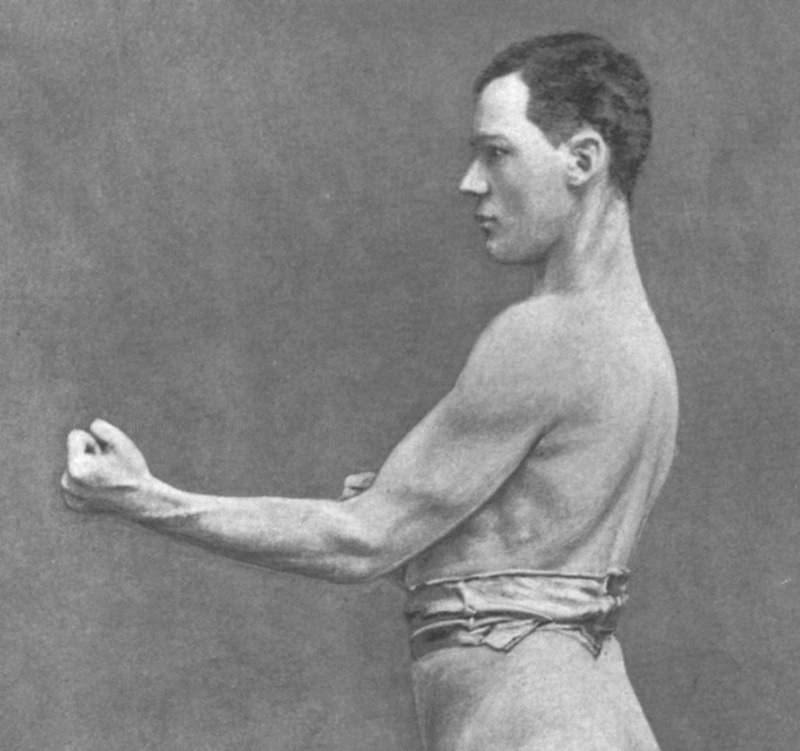 Pictured above: The current Sunday Crossword Puzzle printer at the New York Times. Try your hand at some Dickinson crosswords: scroll down and try questions 21-25 HERE. Do you know what the number one export from Sweden is? 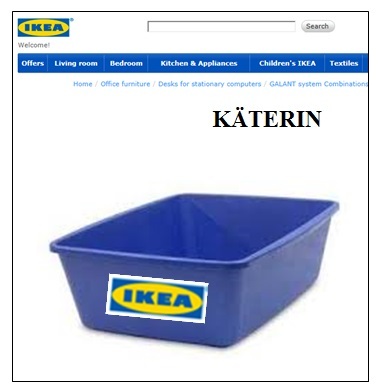 It's KÄTERIN, IKEA's blue kitty litter pan. 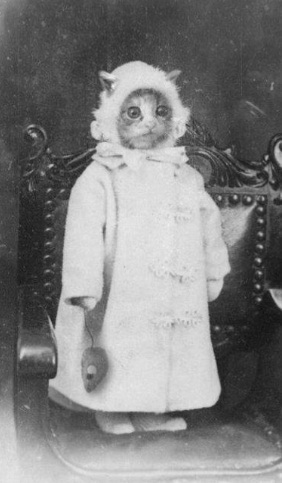 The kitty litter pan was invented by Katherine Maude Dickinson, the daughter of Qwerty Anne Dickinson (Emmett Lee Dickinson's oldest sister). 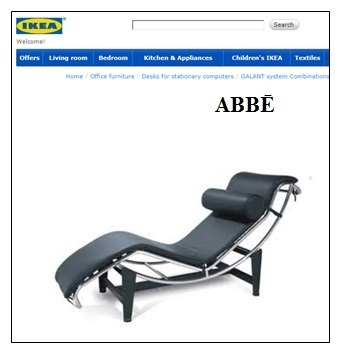 To honor the inventor, IKEA named their top seller after her. 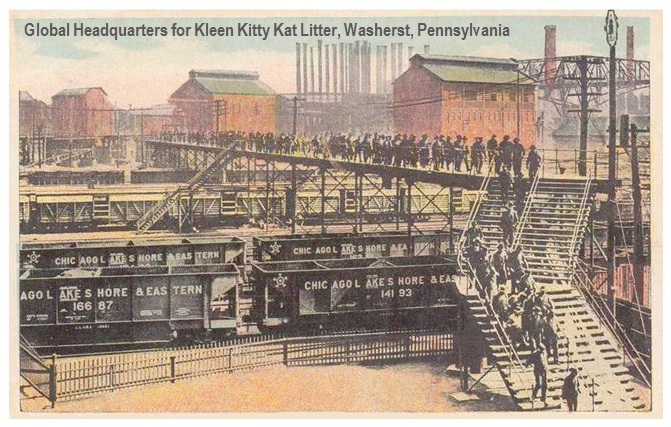 Interestingly enough, Emmett Lee Dickinson's birthplace -- Washerst, Pennsylvania -- is the global headquarters of Kleen Kitty Kat Litter, the top brand of kitty litter used around the world. 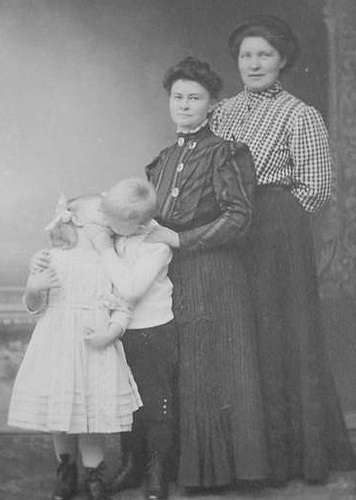 Pictured at the left: Qwerty Anne Dickinson (far right in the photograph) worked frequently as a nanny for the Clemens family of Hannibal, MO. In the picture she is with Jane Clemens and her children Samuel and Pamela. 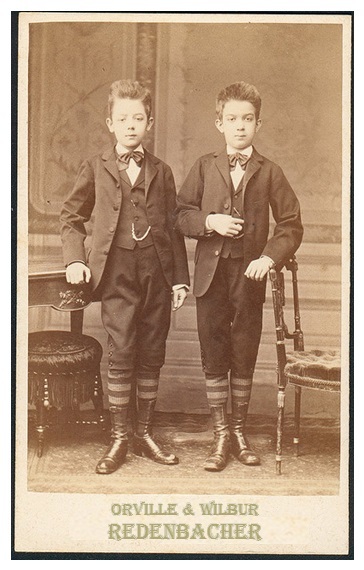 Pictured at the right: Qwerty Anne Dickinson's youngest daughter Katherine Maude Dickinson, fondly known as "Kitty." Kitty suffered from a case for hypertrichosis, a condition resulting in an abnormal amount of hair growth all over the body. of Emmett Lee Dickinson (Emily Dickinson's third cousin, twice removed -- at her request). The stuffed carcass of Monte is on display at the Emmett Lee Dickinson Museum (above the coin-op Laundromat on Dickinson Boulevard). 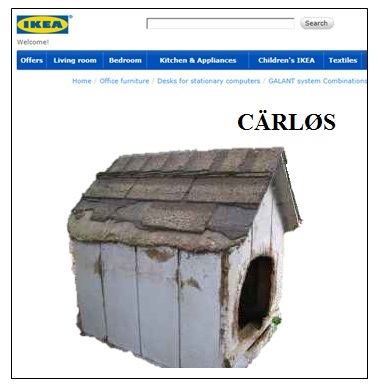 The most popular dog house at IKEA furniture marts is CÄRLØS, named after Uhmilli Dikeanssöhn's dog. 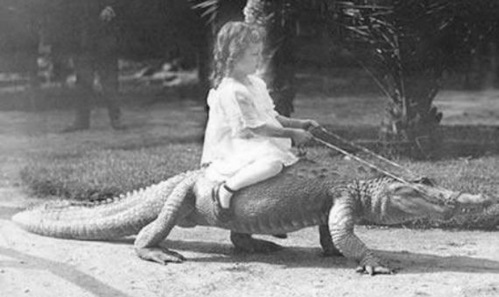 Pictured below on the left: Uhmilli Dikeanssöhn's younger sister, Astrid, and her Swedish Gator Hound, a gentle armor-bodied working dog found only in Sweden. 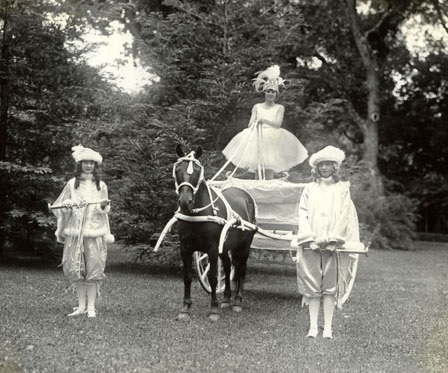 Pictured below on the right: Uhmilli Dikeanssöhn's older sister (in the center in the picture) had a favorite pet too, a pony named Lizette. 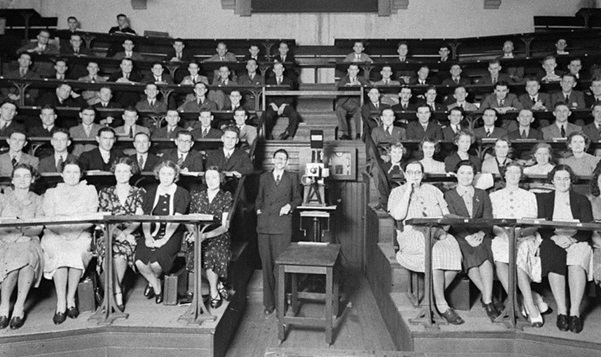 botanist to his theories of the unconscious mind and his association with Sigmund Freud, Emmett Lee Dickinson is widely recognized among the world's greatest and leading science authorities for his achievements in a variety of scientific fields. 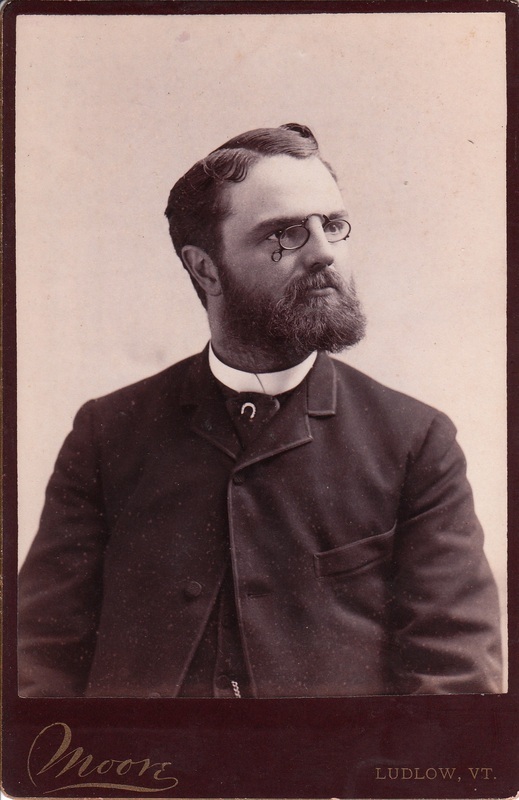 For a short time, Dickinson lived in Utica, New York, and worked as a child psychologist with Drs. Mezmer, Mezmer, and Spellbind. There he invented the Perceptual Deprivation Rehabilitation Chair. 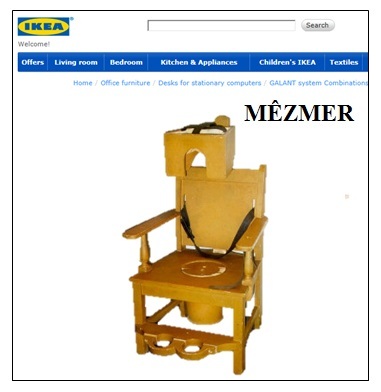 IKEA's reproduction of the chair, MÊZMER, is one of their top sellers! Pictured below, left to right: Drs. Zephian and Zeus Mezmer; Dr. Neville Spellbind; Dickinson's Perceptual Deprivation Rehabilitation Chair. 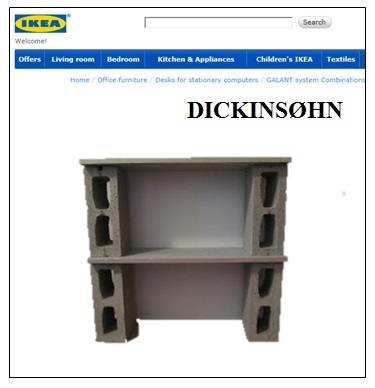 The most popular modular shelving units in the world are IKEA's DICKINSØHN, the bookshelves named after Emmett Lee Dickinson (Emily Dickinson's third cousin, twice removed -- at her request). From dorm rooms to city apartments to country manors, no home is complete with a set of DICKINSØHN. 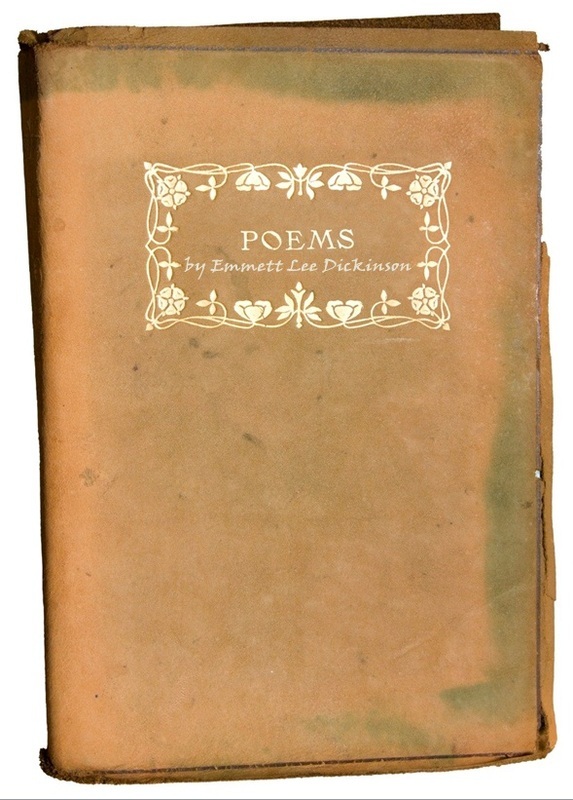 Pictured at the left: The first publication of the poetry of Emmett Lee Dickinson. IKEA knows that no bookshelf is complete without it, so they carry a replica of the book in their "Family Products" department. Of course, bookshelves around the world are covered with thousands of books by, on, about, and influenced by Emmett Lee Dickinson. For more information on the books influenced by the life and work of Dickinson, click HERE. 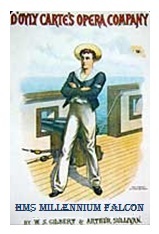 For information on the definitive biographies on Dickinson, click HERE. 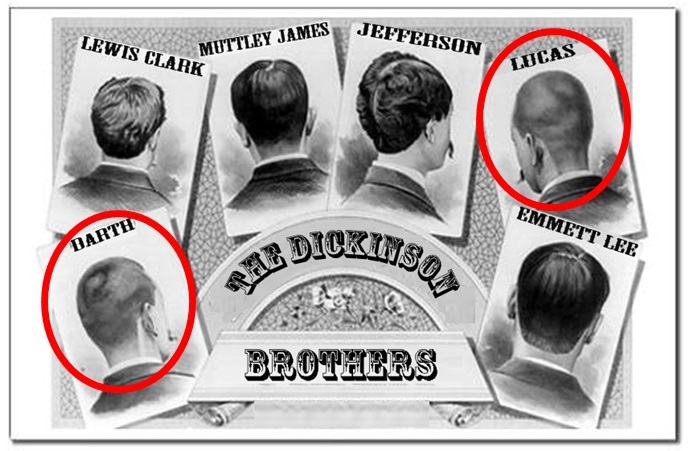 Did you know that ear plugs were invented by Lucas and Darth Dickinson, two older brothers of Emmett Lee Dickinson (Emily Dickinson's third cousin, twice removed -- at her request)? 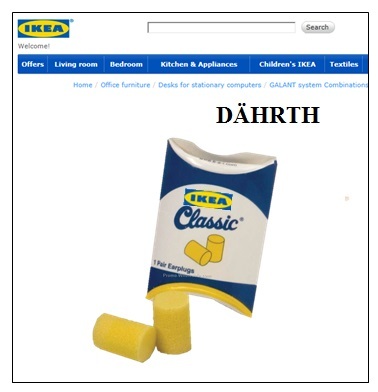 Lucas Dickinson invented a plug for the left ear, and Darth Dickinson invented a plug for the right -- and the top selling ear plugs in the world are DÄHRTH, a brand of ear plugs sold exclusively at IKEA furniture marts. Dickinson's twin brothers Lucas and Darth married the Walker sisters from Mount Misery, PA.
Lucas married Leia Walker (pictured at the left), and Darth married Vada (pictured at the right). 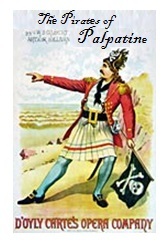 The Walker sister's starred and sang in many operettas written by Gilbert & Sullivan Arthur, including HMS Millenium Falcon, The Pirates of Palpatine, and The Yeoman of the Stormtroopers. Legend has it that the Dickinson brothers developed their invention to preserve their sanity. 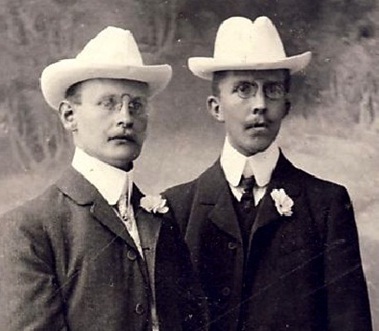 Pictured below: The Arthur brothers, Gilbert (fart left) and Sullivan (far right). 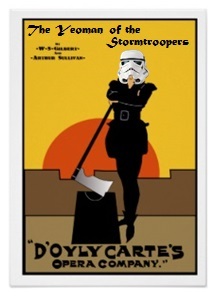 The D'oyly Carte's Opera Company performed many of their operettas. 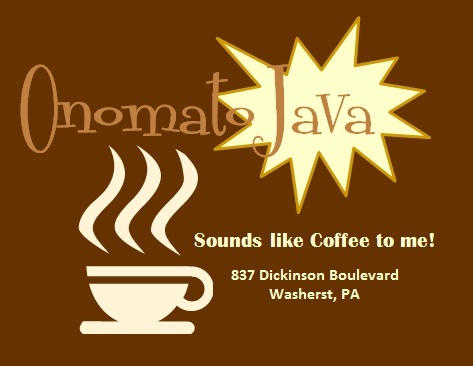 Did you know that Emmett Lee Dickinson (Emily Dickinson's third cousin, twice removed -- at her request) invented the novelty coffee cup? 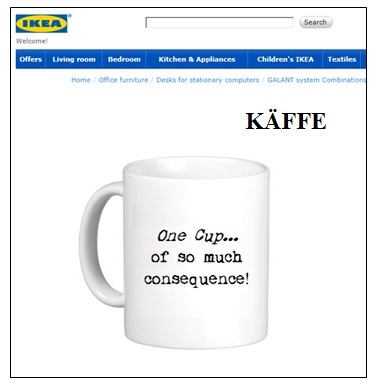 IKEA sells over 100 different novelty cups based on the coffee poetry of Dickinson. To read some of Dickinson's coffee poetry, click HERE. 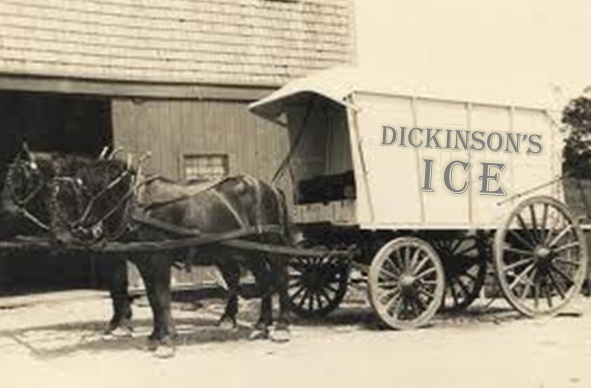 To learn more about Dickinson's inventions, click HERE. 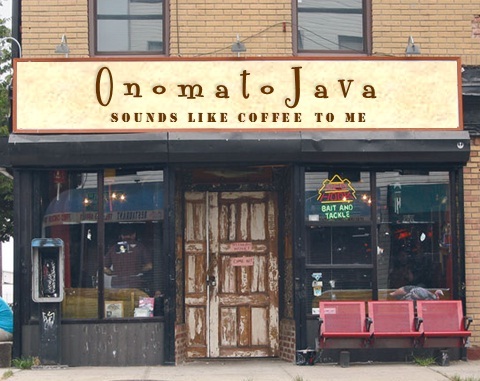 Pictured below, center and right: When you visit historic Washerst, be sure to visit the coolest coffee house around: OnomatoJava -- "Sounds like 'coffee' to me!" 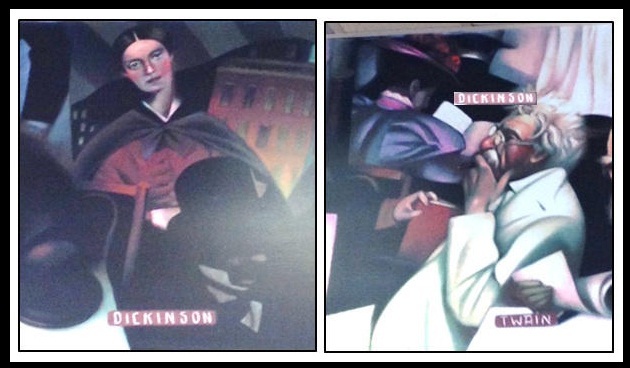 Pictured above: Starbucks coffee shops in Barnes & Nobles include Dickinson on their murals -- and his third cousin Emily (click to enlarge). 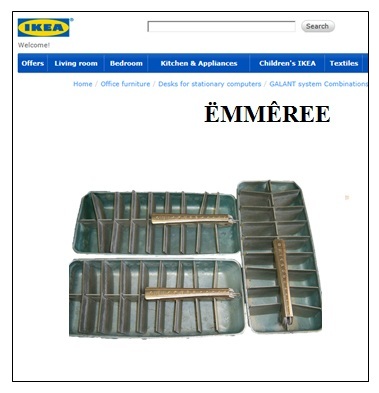 One of the most popular items in the IKEA Market place is the 3 piece ice cube tray set named after Emery Dickinson, the father of Emmett Lee Dickinson (Emily Dickinson's third cousin, twice removed -- at her request). 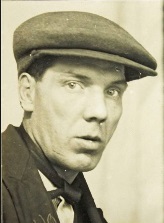 Emery Dickinson was an ice delivery man in Washerst and is thought to have been the inspiration for a title of a play by Eugene O’Neill. 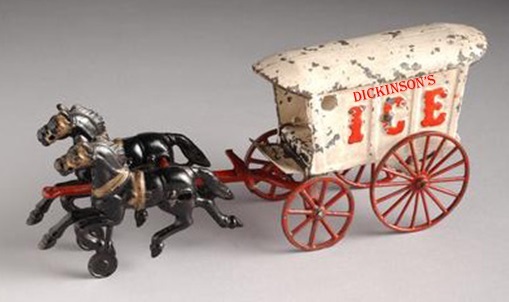 Pictured at the left: A replica of the Dickinson's ice wagon was the most popular toy in the 19th century. 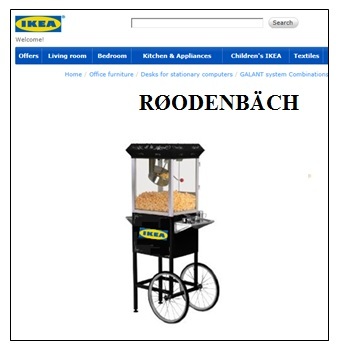 The world's most popular in-home popcorn popper is the RØODENBÄCH from IKEA, named after the Redenbacher brothers, Orville and Wilbur. Nebraska. There he met the Redenbacher brothers, and they forged a friendship that would last for years due to their one common passion: corn. Pictured below, far left: Orville and Wilbur Redenbacher. 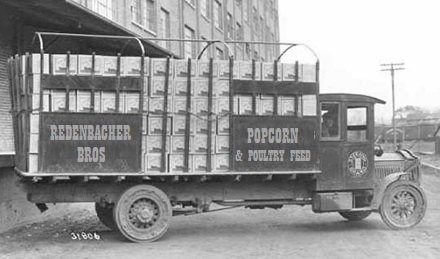 Pictured below, center: A "Redenbacher Bros" truck delivering popcorn and poultry feed. helping "troubled youth" to mentoring "creatively disturbed teens," but with the advent of "the Internets," camps began to close at an alarming rate. 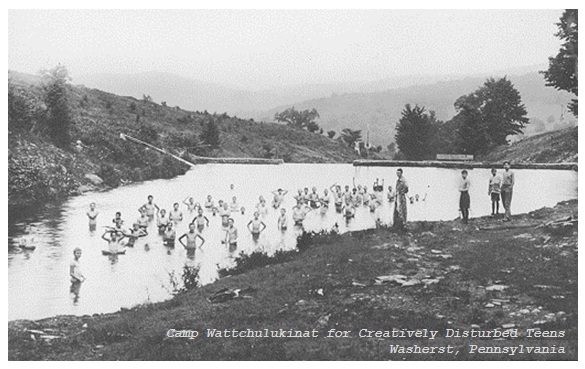 Today, just one Camp Wattchulukinat reamins open -- in Washerst, PA, the birthplace of Emmett Lee Dickinson (Emily Dickinson's third cousin, twice removed -- at her request). 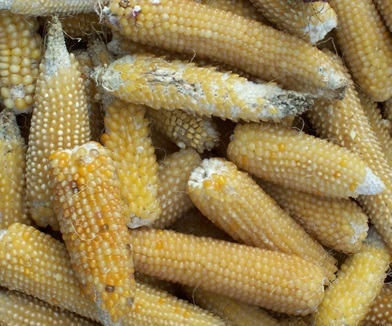 Pictured at the right: To this date -- based on the influence of Emmett Lee Dickinson (Emily Dickinson's third cousin, twice removed -- at her request) -- the Redenbacher brothers use the finest cob corn in their microwaveable popcorn bags and poultry feed. 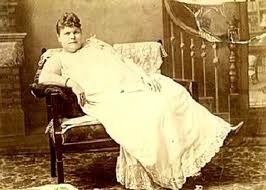 IKEA's most popular chaise lounge, ABBĒ, is named for Abigail Wellwood-Barnwell, known to Washerstians as "Downtown Abbey." 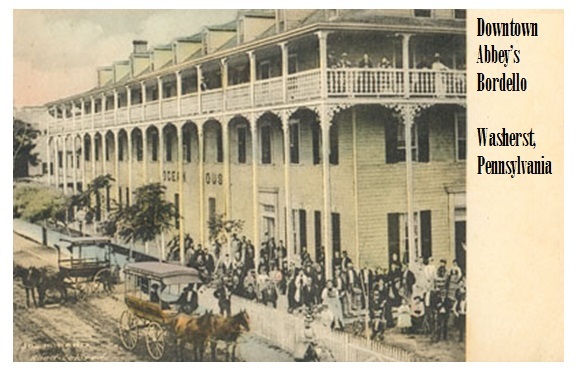 In the mid-19th century, "Downtown Abbey" was a world-famous madame of a brothel in Washerst. 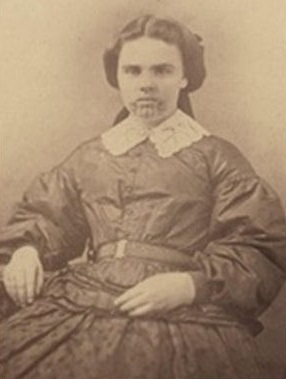 It is rumored that Emmett Lee Dickinson (Emily Dickinson's third cousin, twice removed -- at her request) had a tempestuous affair with "Downtown Abbey." Pictured at the left: Abigail Wellwood-Barnwell, known as "Downtown Abbey." 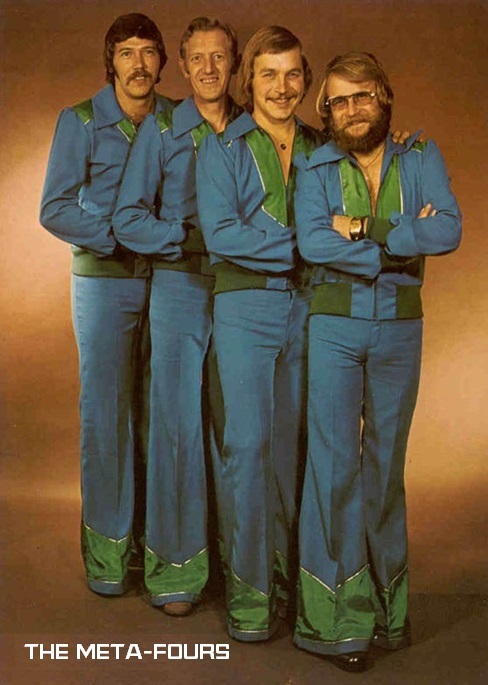 The super-group ABBA named themselves after "Downtown Abbey" (with ABBA being a variation of ABBĒ), and their smash hit "Dancing Queen" was their disco ode to the Washerst Madame. 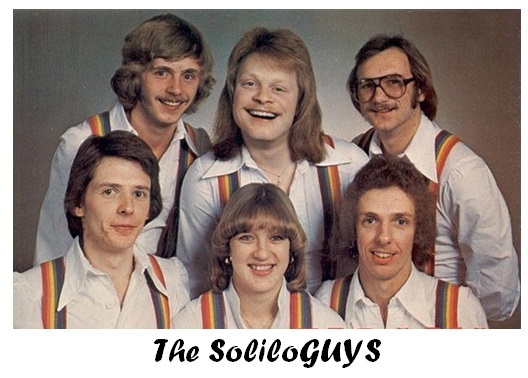 Also, one of the singers, Solveig Dikeanssöhn (shown second from the right) was the grand-daughter of Hujik Dikeanssöhn (the son of Sweden's preeminent poet Uhmilli Dikeanssöhn). 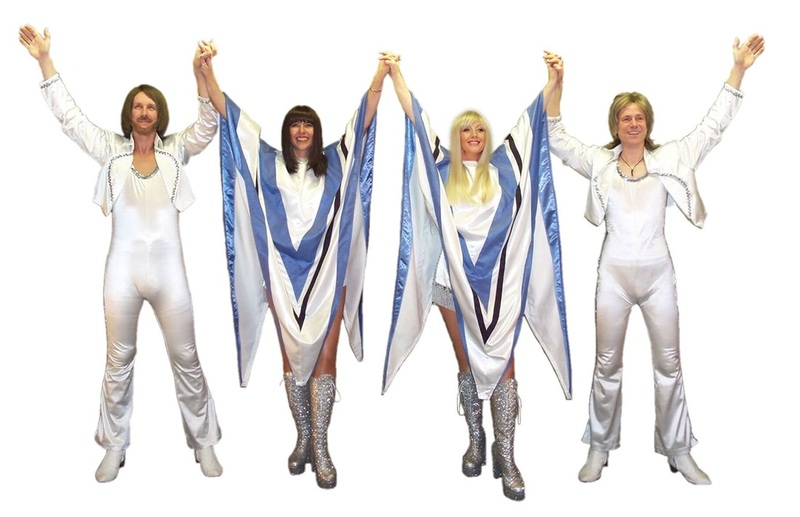 Pictured at the right: Members of the super-group ABBA: Noak Bengtsdotter, Hulda Ragnvaldsson, Solveig Dikeanssöhn, and Bartholomeus Ljungborg. 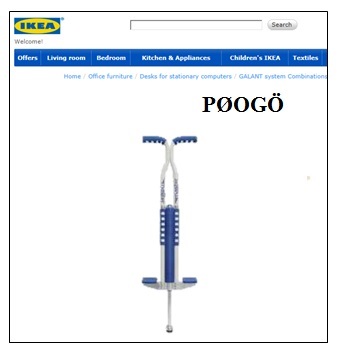 IKEA's introduction of medical equipment last year proved to be a great success for the company, and the top seller was a modern take on Oksana's Vitality Bar, sometimes referred to as the pogo stick. Oksana Pogobrazhenski was the inventor of the device, and it cures a variety of ailments, including disordered liver, biliousness, constipation, nervous irritation, inflamed eyes and eyelids, impaired digestion, and more. Oksana promised that her Vitality Bar would quickly restore females to complete health, "acting like magic on the vital organs, strengthening the muscular system, and arousing with the rosebud of health the whole physical energy of the human frame." Pictured below, left to right: Oksana Pogbrashenski, inventor of Oksana's Vitality Bar; IKEA's schematic for assembling PØOGÖ, your very own Vitality Bar; Queen Gunilla II of Sweden (shown with her amanuensis, Botilda Hammarstrom) was extremely influential in boosting sales of the Vitality Bar due to her daily use; United Airlines stewardesses show good form with the Vitality Bar. 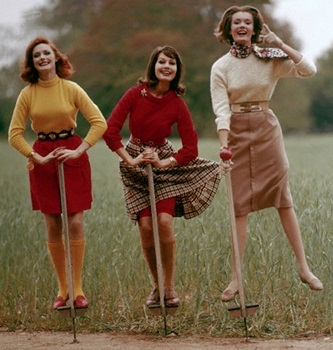 United was the first major airline to require a daily regime of "pogo-sticking" for stewardesses. immortalized in a song called “The Ballroom Blitz” (originally called "The Bar Room Blitz") released in 1975 by the glam rock band “Sweet.” The meeting of Dickinson and Thoreau is detailed in Volume 2 of Great American Poems ~ REPOEMED. 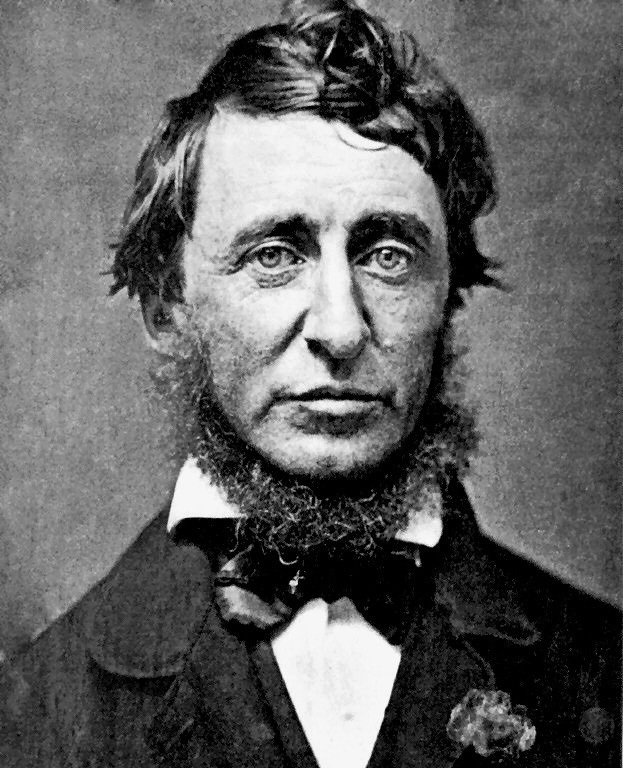 Pictured below: Three pictures of Henry David Thoreau. 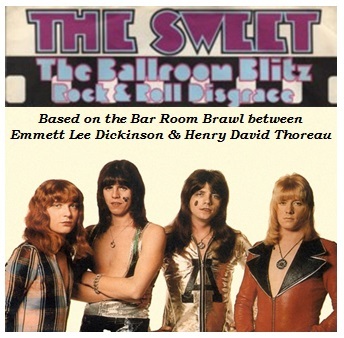 Pictured below, far right: The Sweet's "The Ballroom Blitz," based on the Bar Room Brawl between Emmett Lee Dickinson and Henry David Thoreau (click images to enlarge). or more information on the Dickinson-Lincoln friendship, click HERE. 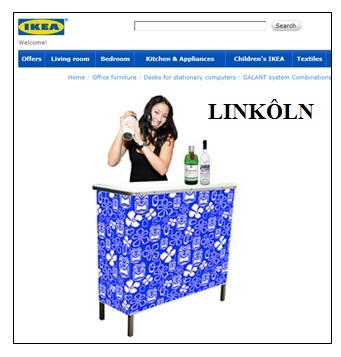 IKEA's most popular portable bar is LINKÔLN, named after President Abraham Lincoln, the drinking buddy of Emmett Lee Dickinson (Emily Dickinson's third cousin, twice removed -- at her request). 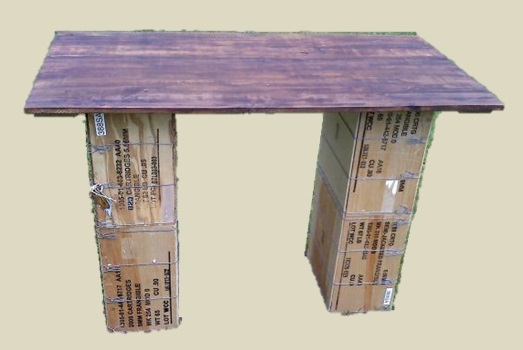 Pictured above: IKEA's bar is also available in "camo," to blend with any décor! * In the end, it's not the beers in your life that count. It's the life in your beers. * No drunk has a good enough memory to be a successful liar. * The best way to destroy an enemy is to buy him a beer. 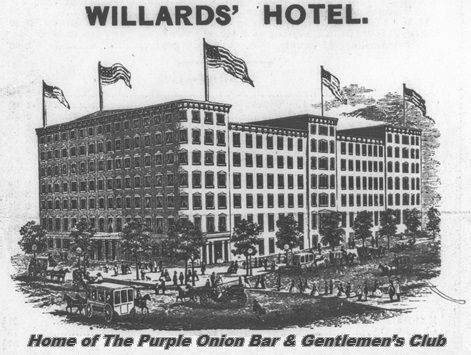 Pictured at the left: A favorite haunt of Dickinson and Lincoln was the Purple Onion Bar & Gentlemen's Club in the Willard Hotel in Washington, DC. They were in the lobby so often waiting in line to get into the bar, they were referred to as "lobbyists" -- a term that lives on to this day in Washington! In 2003, IKEA furniture marts introduced a line of build-your-own industrial washers and dryers for the home in honor of the 200th birthday of Emmett Lee Dickinson (Emily Dickinson's third cousin, twice removed -- at her request). 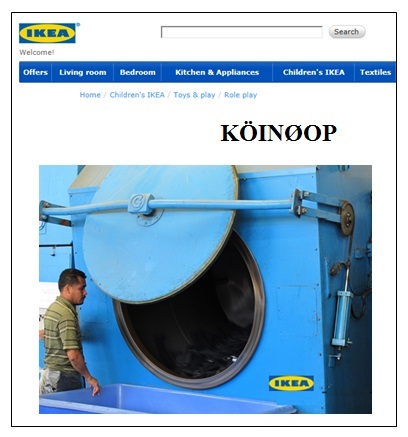 The most popular industrial dryer offered by IKEA is KÖINØOP, named for the coin-op Laundromat below the Emmett Lee Dickinson Museum in Washerst. 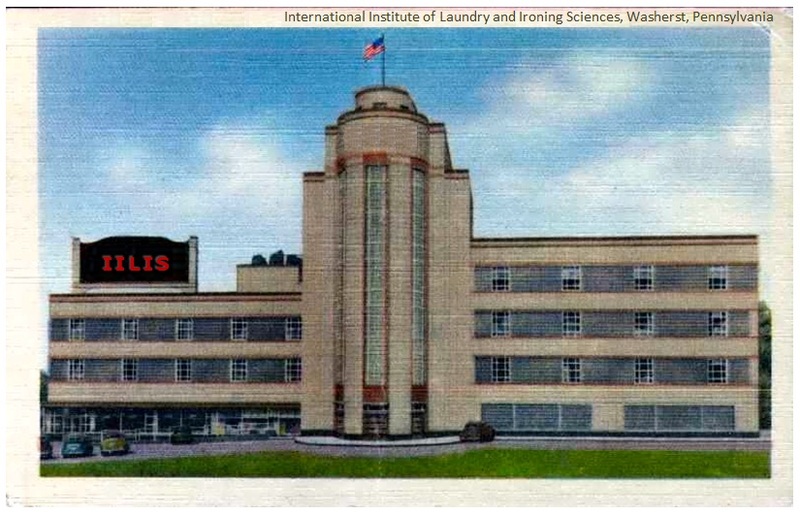 Pictured below, left: Plans are now underway for "Euro-Dickinson": The architectural firm of DeLay and Awfull has been contracted to design "Euro-Dickinson," the new Emmett Lee Dickinson Museum in Paris, Kentucky (above the Same Day Cleaners and Laundromat). Architects Constance DeLay and I. Phil Awfull have submitted preliminary plans to the Paris Board of Architectural Review, and the museum is slated to open within a year of two. Pictured below, center: A highlight of the new museum will be a dramatic tower rising above the museum. 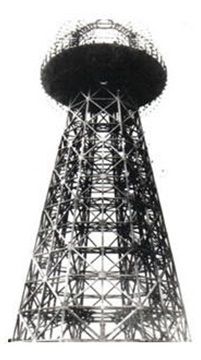 The tower is to be designed by I. Phil Awfull, and it will be known as the Awfull Tower -- or possibly the I. Phil Tower. Situated on the roof of the museum, the tower will rise above the skyline of Paris. Pictured below, right: The architectural firm of DeLay and Awfull designed Dickinson Tower in Dickinson Park in Washerst. 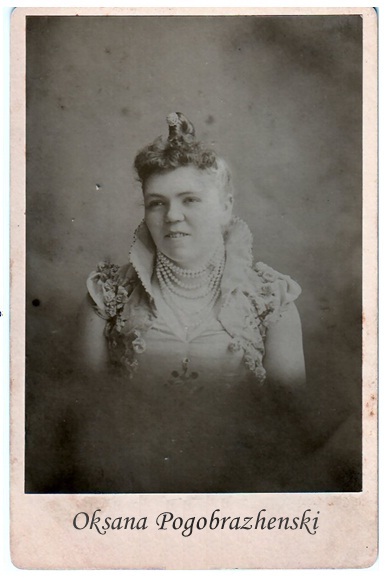 Did you know that Emmett Lee Dickinson (Emily Dickinson's third cousin, twice removed -- at her request) invented improvisational and stand-up comedy? 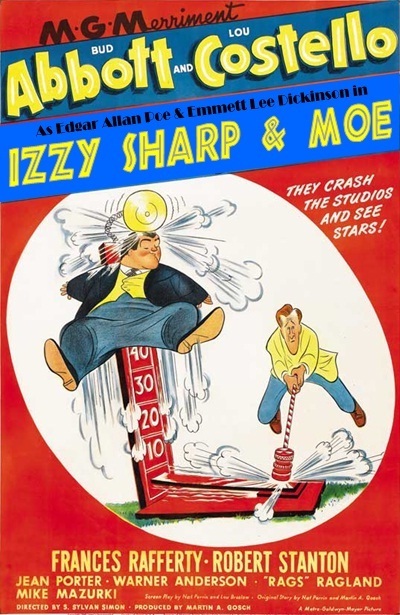 He worked comedy clubs in Baltimore, MD, with Edgar Allan Poe in the comedy duo “Izzy Sharp and Moe.” They were the first to tell “Why did the chicken cross the road?” and “Waiter, there’s are fly in my soup” jokes. 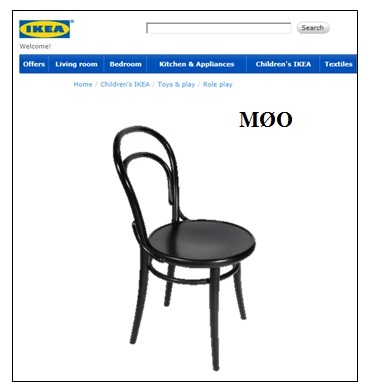 As a result, IKEA designed a chair called MØO, named after Emmett Lee Dickinson's "Moe," and it has been adopted as the official prop of Chicago's Second City and other improv comedy troupes around the world. 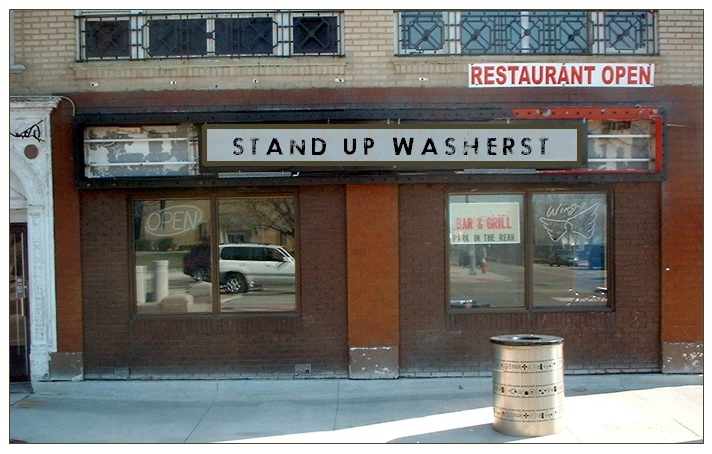 Pictured below, left: Every fourth weekend in March, Washerst plays host to the Washerst Improv and Stand-up Comedy Spectacular at "Stand Up Washerst" -- where Leonard Barr, Kathy Griffin, and Jimmy Kimmel got their starts! 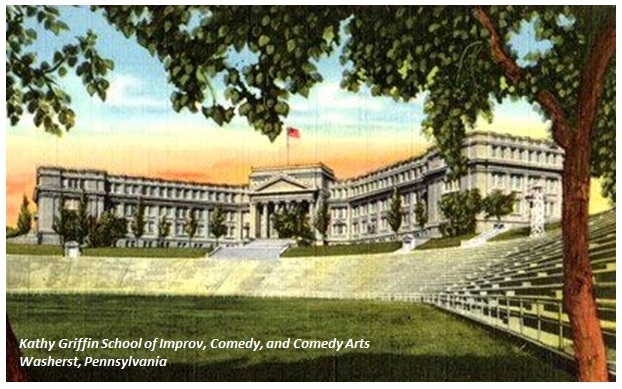 Pictured at the right: Kathy Griffin's School of Improv, Comedy & Comedy Arts in Washerst is the school that inspired Oprah Winfrey to open the Oprah Winfrey Leadership Academy for Girls in the town of Henley-on-Klip, south of the city of Johannesburg, in South Africa. More on Griffin's school can be found HERE. 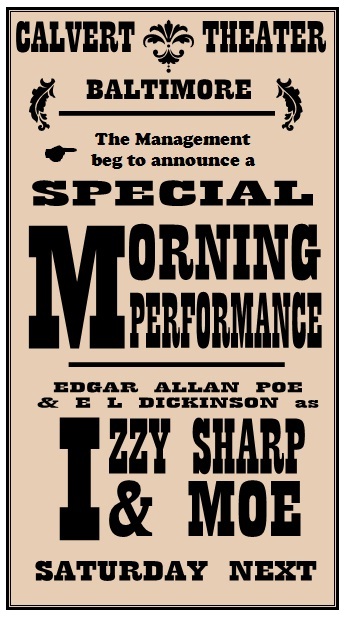 Pictured at the right: Vintage posters of Abbott & Costello as the Poe-Dickinson duo "Izzy Sharp & Moe" -- and a poster announcing a morning performance by the comedy duo at the Calvert Theater in Baltimore. Replicas of these posters are available in the museum gift shop. Other gift shop items are found HERE. 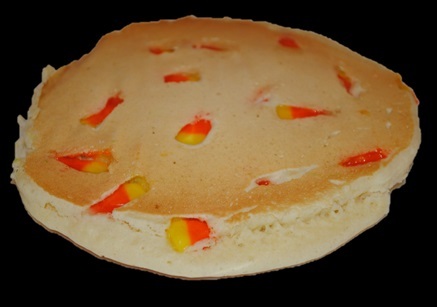 Eating candy corn pancakes with pure maple syrup is a popular way to celebrate National Candy Corn Day (October 30th) -- and IKEA's shake-n-pour PÄANKØOK is the top selling candy corn pancake mix in the world! 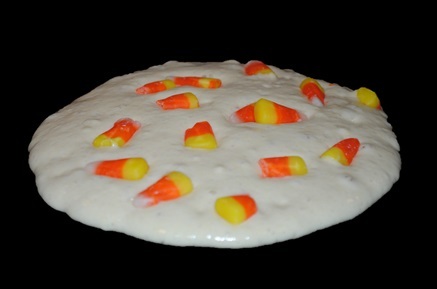 For complete coverage of our National Candy Corn Day coverage, click HERE. Also, be sure to follow us on Twitter -- @The_Dickinson -- and look for and use hashtag #NCCD. Can't decide what to buy? 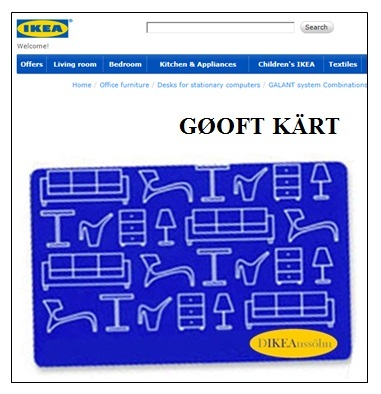 You can always purchase a Dikeanssöhn's gift card -- good at all Dikeanssöhn stores and IKEA furniture marts. IKEA was one of the first modern businesses to start using gift certificates and gift cards, and this was all based on a practice of the Perish & Begone Funeral Parlor, the first company in the world to offer gift certificates and customer discounts. 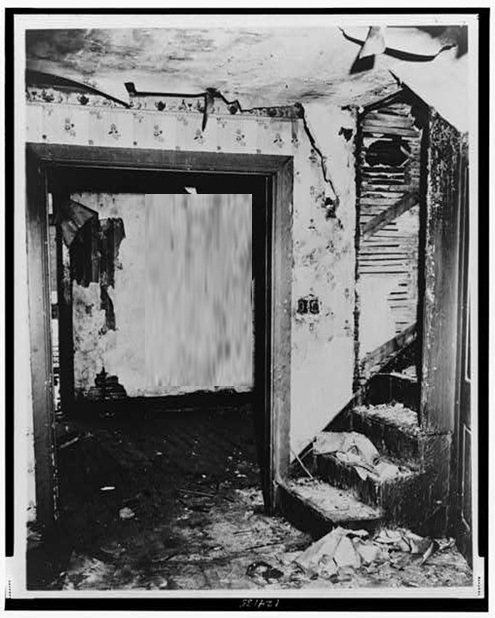 Emmett Lee Dickinson (Emily Dickinson's third cousin, twice removed -- at her request) and his family lived in a basement apartment of the Perish & Begone Funeral Parlor, owned by brothers Eberhard and Egan Perish and Caldwell Begone. 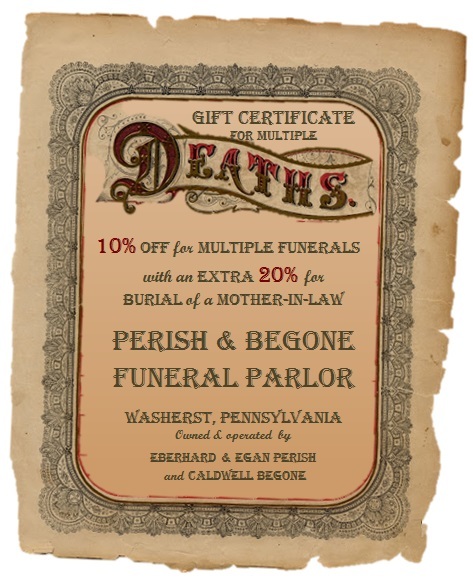 Pictured at the right: The first discount gift certificate ever offered by a business, a multi-funeral discount offered by the Perish & Begone Funeral Parlor in Washerst (click the image to enlarge). This certificate, the first of its kind, led to the modern day practice of giving gift certificates and gift cards.